They that go down to the sea in ships, that do business in great waters; these see the works of the Lord, and his wonders in the deep. 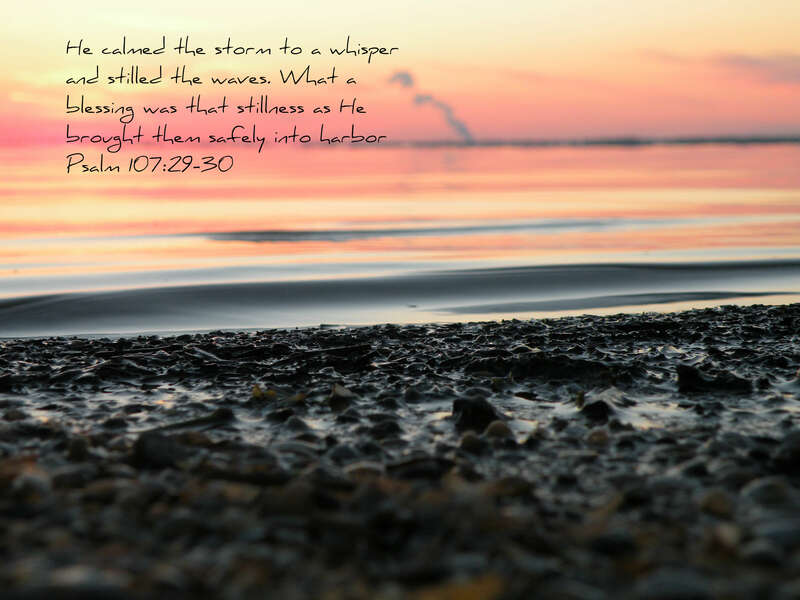 For he commandeth and raiseth the stormy wind, which lifteth up the waves thereof. They mount up to the heaven, they go down again to the depths; their soul is melted because of trouble. Then they cry unto the Lord in their trouble, and he bringeth them out of their distress. Then are they glad because they be quiet; so he bringeth them into their desired haven.